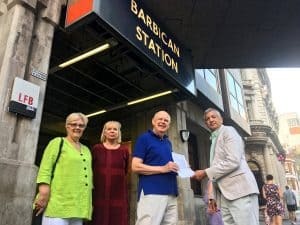 Campaigners have received a boost in their dispute with Transport for London over excessive noise and vibrations emanating from Tube services running through Barbican station. 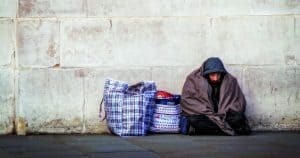 London Assembly Member for the City & East, Unmesh Desai, met with the new deputy mayor for transport, Heidi Alexander, on Tuesday to hand over a petition and call for immediate and urgent action over the complaints. Affected residents have described noise generated by trains on the Circle, Hammersmith & City and Metropolitan lines running directly underneath the estate “like a thunderstorm” in their flats, and say they are reaching breaking point after years of sleepless nights. TfL has visited homes to discover that noise levels generated by Tube services could exceed 50 decibels, a level considered detrimental to people’s health by the World Health Organisation, which sets the acceptable level at 43 decibels. But with no remedy as yet tabled, Mr Desai has moved to raise grievances with Ms Alexander directly. He said he has “gained assurances” that she will be taking the Barbican station complaints up with TfL in the near future. 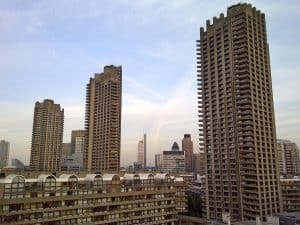 “Barbican residents have had their lives disrupted by excessive tube noise for too long,” said Mr Desai. “It is a matter of urgency that the deputy mayor for transport closely listens to the concerns of local people, and ensures that stringent action is taken to resolve this issue. “However, it is positive that the new deputy mayor has met with me to discuss this matter only a few weeks into her role. This shows that tackling the blight of tube noise is high on her agenda, and I am confident that with her oversight, we will begin to see some robust solutions. “In the meantime, I would encourage any of my constituents to get in touch with local transport issues, so I can raise them directly with TfL”.